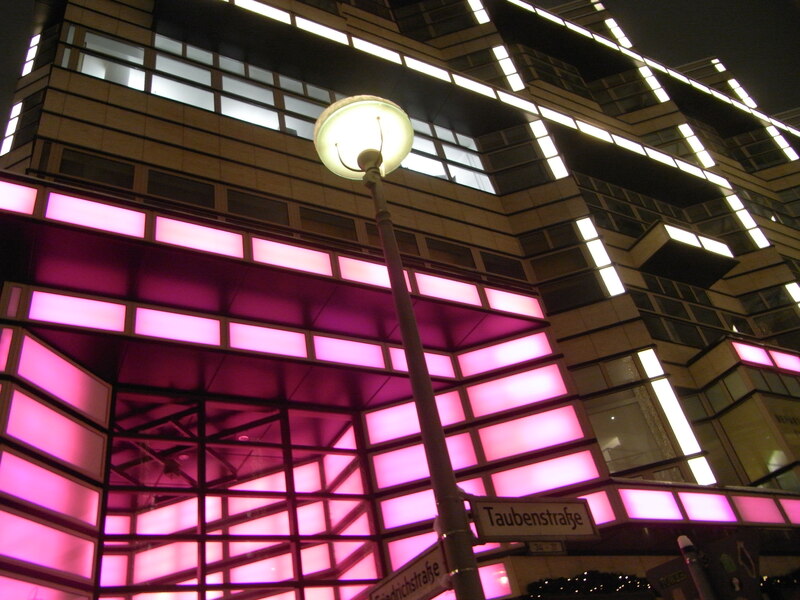 One of our passtimes when we are in Berlin is to go and visit building sites. 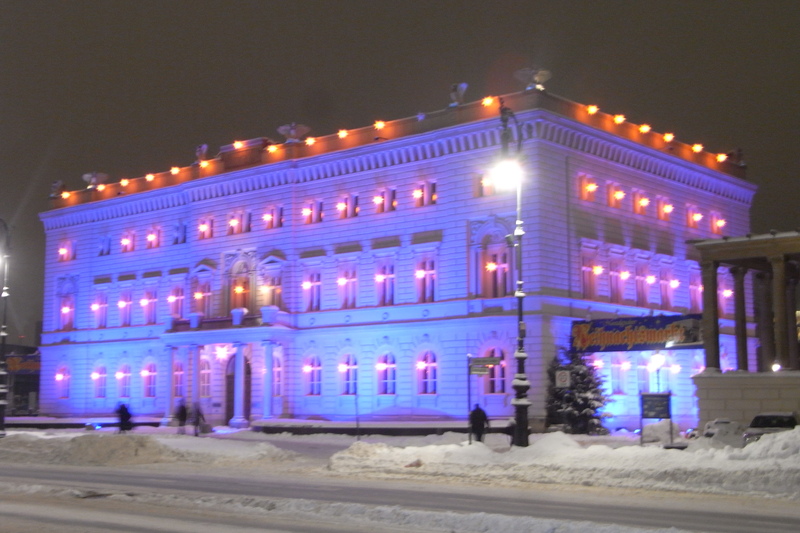 The big one for the Schloss spreads its pink and blue tubes all around, in front of the Alte Kommandantur, on Unter den Linden, 1. Saturday night, a quick run to COS on Friedrichstrasse to sample the new shades of green for the Spring. Too many linden trees on Unter den Linden are being chopped away once again for the works of the new U55 metro. Too many times since the reunification the trees have been displaced, zeroed down and substituted. And this needs to be documented. Let’s hope that from now on the trees will be left alone. The frivolous side of Berlin. Berlin marshmallow. Berlin fraise tagada. Berlin zucchero filato. Berlin barbe à papa. Berlin enrubannée. Berlin maquillée comme une voiture volée. 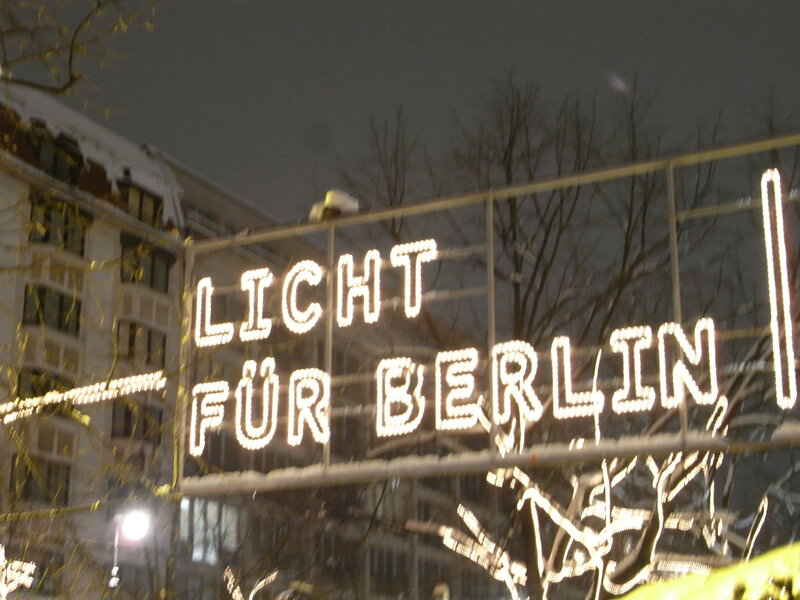 Berlin coquine. I took these pictures tonight, on Unter den Linden and Friedrichstrasse, coming out from an exhibition at the DHM, Deutsche Historisches Museum. “We are informing the visitors that the Museum will be closing at 6pm”. In a trance, myself and the dozens of visitors who were packing the exhibition hurried to fetch our coats at the cloackroom. 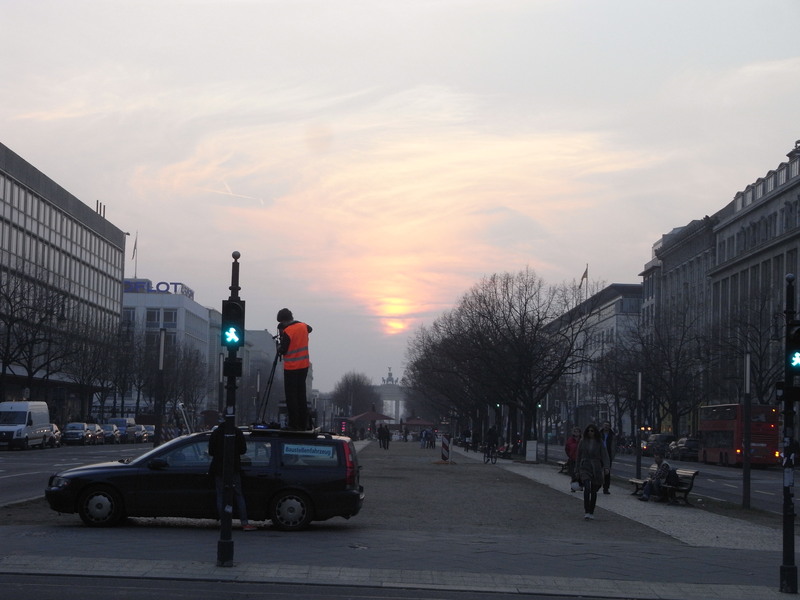 Out on the Unter den Linden I was so happy to see the frivolous side of today’s Berlin. I needed colors, silly shopping, lights. I had just spent hours in the “Hitler and the Germans. Nation and crime” exhibition. Not bad, not bad at all Bettina Wulff in almond green satin. And we all know that SATIN CAN KILL. Brave first lady! But is it almond green or Unter den Linden green? The fabulous thing about Malpensa is that you are only 60 minutes far from Berlin! Bliss! Landing at Schoenefeld on a friday night is so confidential. The airport is asleep, almost silent. Crossing the tarmac on foot and taking in the temperature of the air sets immediately a human, non-airport atmosphere. I savour the experience…who knows how it will be in 2011 when the Willy Brandt airport will open. Better? 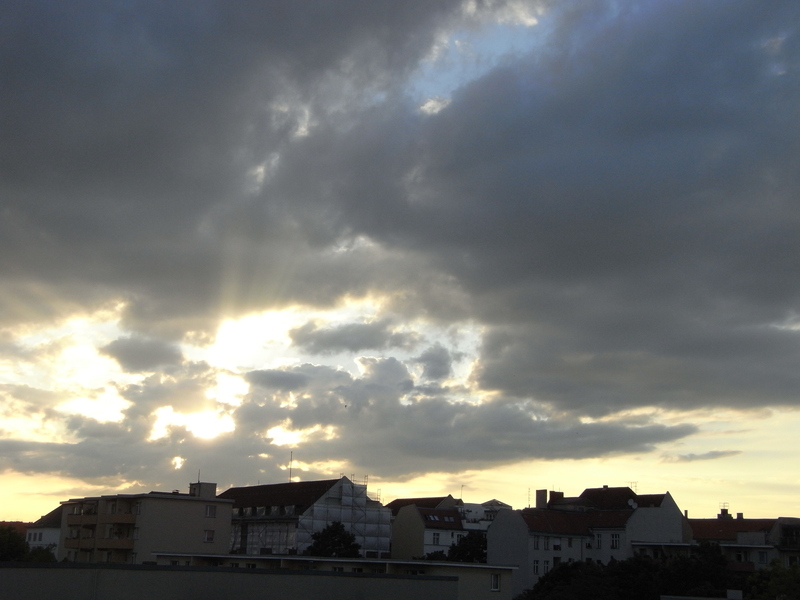 More Munchen-like? Different. 45 minutes on the domestic U7 line, chatting with a couple discovering Berlin for the very first time, and I am moving silently my Rimowa under the chestnut trees in Schoneberg. Everything is ok at home. No flash floods in the kitchen, no bills in the mailbox. Good. I retrieve my slippers and my crisp linen and I am at my favourite hotel in the world! The silence has a special texture in Berlin. This time of the year it is embued with chestnut flowers aroma and Spazierengang steps on the road mixed with conversation. 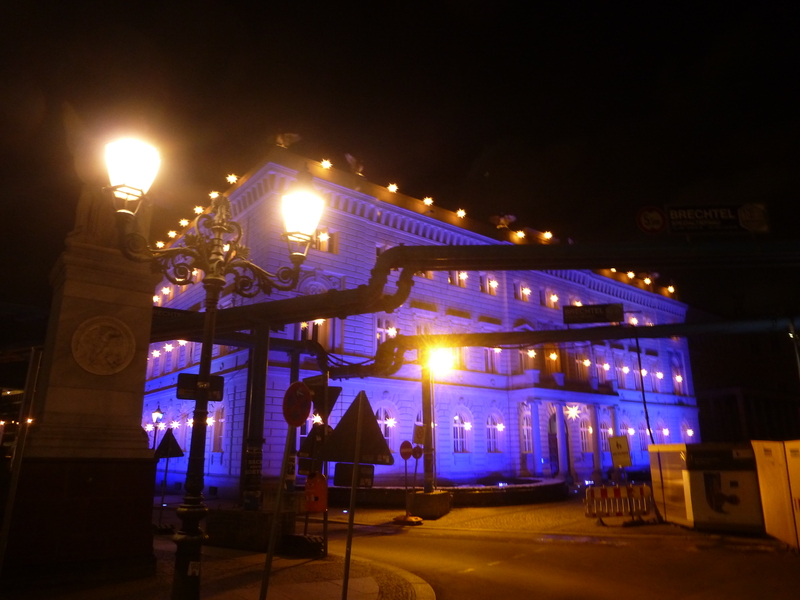 From the balcony I can see people enjoying the night’s balmy air on the Rathaus Schoneberg bridge. Three days of holiday in Berlin in between Milano and Amsterdam busy schedules. I’m happy to be back Unter den Linden right when the linden trees blossom. 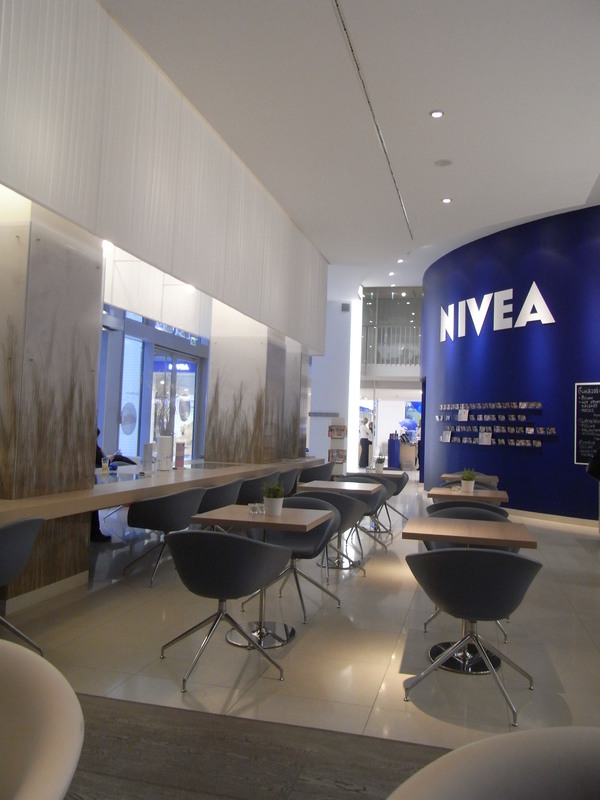 I love Nivea. I spent my childhood’s summers on the Adriatic, my freckled überwhite skin covered – parents oblige – with a thick layer of Nivea, eyebrows included. After 5 minutes on the golden beach of Lignano Sabbiadoro, I would morph into an human Wienerschnitzel, paned in sand. I loved the Nivea blue beach balloon…trigger of many attempts to communicate with the German or Austrian children of the neighboring castle of sand and source of many childhood pen-pal friendships. So it was a nice surprise to discover a giant balloon (Forschungskugel) at the Nivea Haus in Berlin, on Unter den Linden. You will notice it because of the electric blue rounded logo, if you are a fan you will be irresistibly attracted inside by the giant blue sphere. 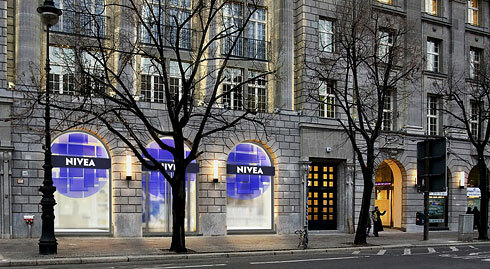 But at a closer look the Nivea Haus is hosted in a magnificent building in late Wilhelminian style, the Kaiserhöfe. I didn’t sample the “latte massaggio” or the manucure yet, but at first sight I loooved the merchandising work done by the electric blue brand. The T-shirts for the Venice Biennale in co-operation with Fabrica and the AiBi charity seen this Summer are great, as the ones with “Beauty Berlin” written on it…and the towels, aren’t they cute! 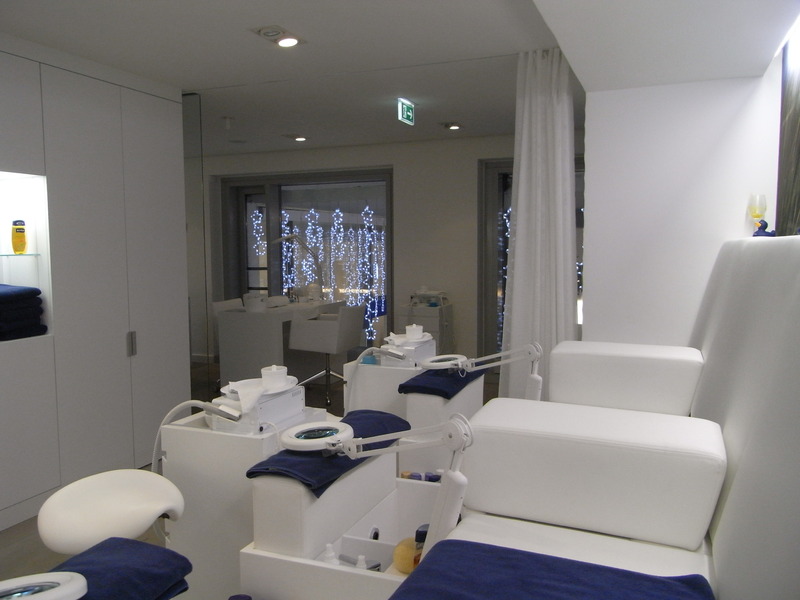 PS – during the icy days in February I want back and enjoyed the whole experience: manucure for my cold hands, pedicure after standing in a long line for the Berlinale tickets and a cappuccino for getting acquainted for the comfortable space…gorgeous! While the tourists were flocking at Sans Souci, queueing at Pergamon and taking photos of Potsdamer Platz, my Mum and I we did what many Berliners did…we went to take a ride on the new U55, the chicest underground of the world. The Brandenburger Tor station is indeed beautiful, in warm hues and with its columns describing a curve. Bundestag and Hauptbahnhof stations are definitely more massive and bare at the same time. Retro-illuminated screens show photos of historical moments of the Brandenburger Tor and the citizens and travellers alike read with interest the panels. A captivating slide-show, the train arrival (very slow, it’s the rail’s cul-de-sac) almost disturbs the absorption of information. A Bavarian lady asks me, in front of the picture showing the wall in front of the Brandenburger Gate, which side was East and which was West. “Thank you for helping me! Especially since you don’t seem to be German!” she says, with a smile.